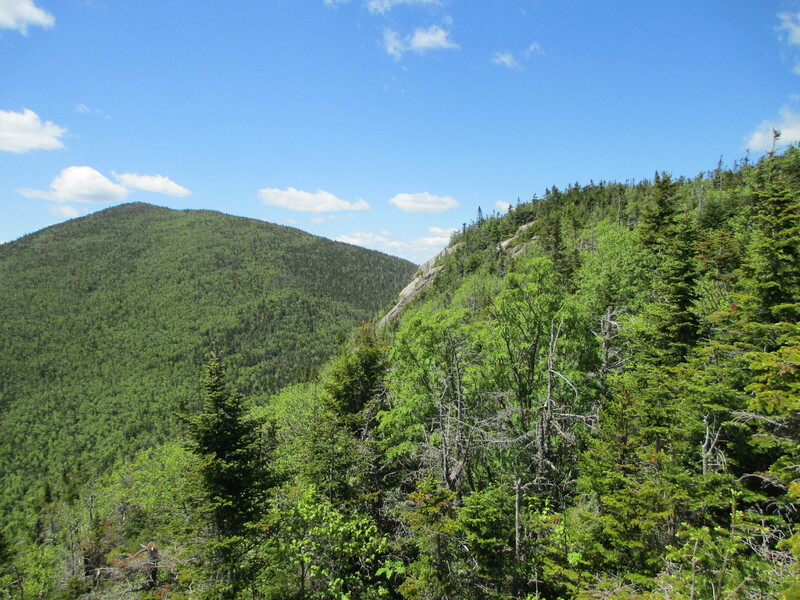 Today a friend and I hiked 3/5 of the Dix Range, on the first sunny day in a week. We set out from the Elk Lake trailhead at 6am, walking through the wet, muddy and rocky Hunter’s Pass trail for about an hour. 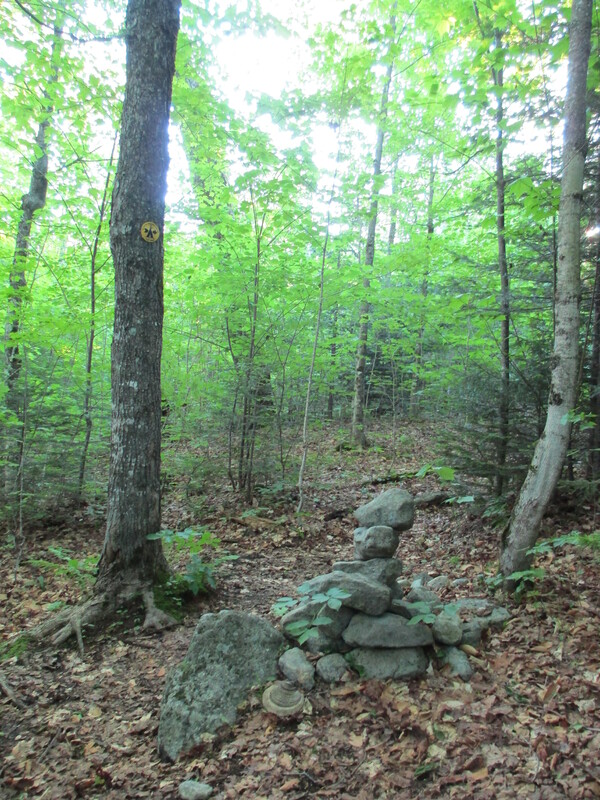 Just beyond the wooden footbridge that crosses the brook, a rock cairn marks the start of the Macomb herd path at 2.3 miles from the trailhead. To pick up the path you actually have to turn right at the cairn and walk through the campsite area. The first portion of the herd path was a piece of cake, but what makes Macomb particularly interesting is the rock slide you have to climb up a large section of the mountain. 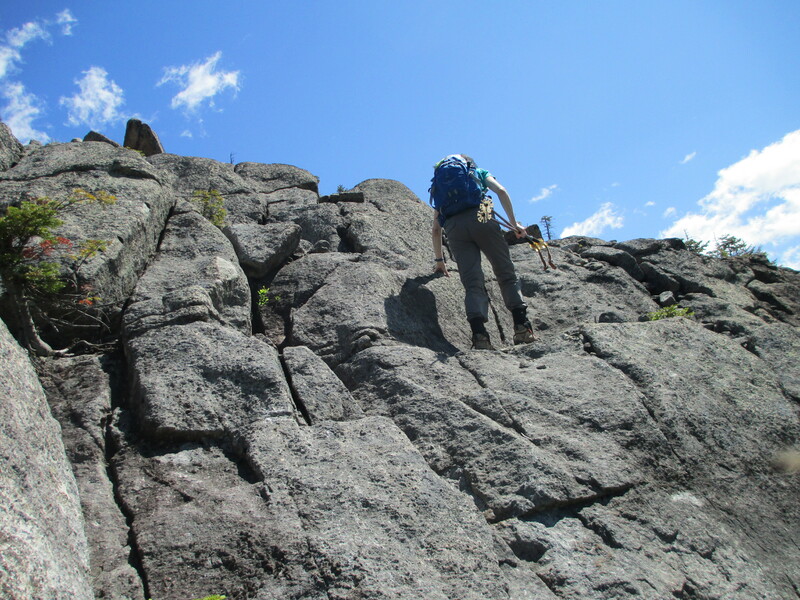 The rocks were loose and crumbly and we picked our routes carefully. 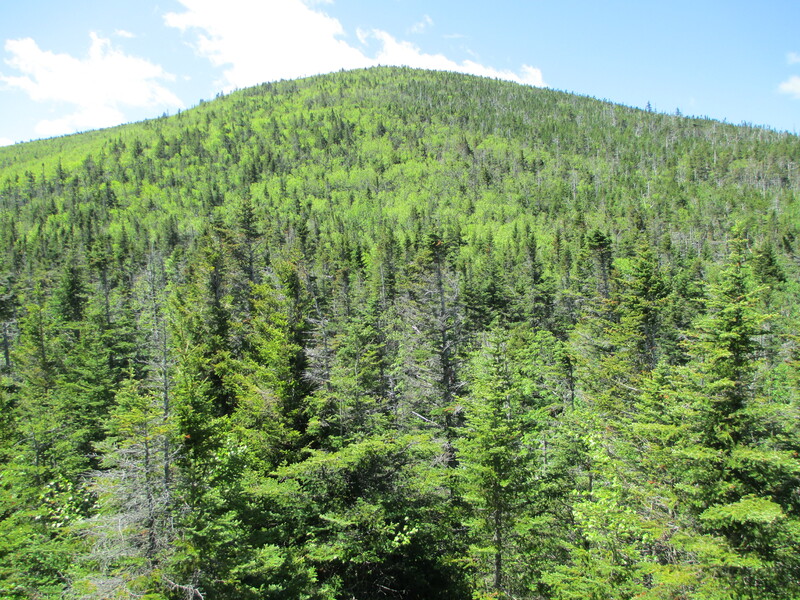 Once we reached the top, the path steered us back into the woods for a bit and eventually we reached the summit, which we shared with a couple of other hikers. The walk from the summit of Macomb down to the junction with the South Dix and Lillian Brook paths must have been uneventful, because I already don’t remember it. 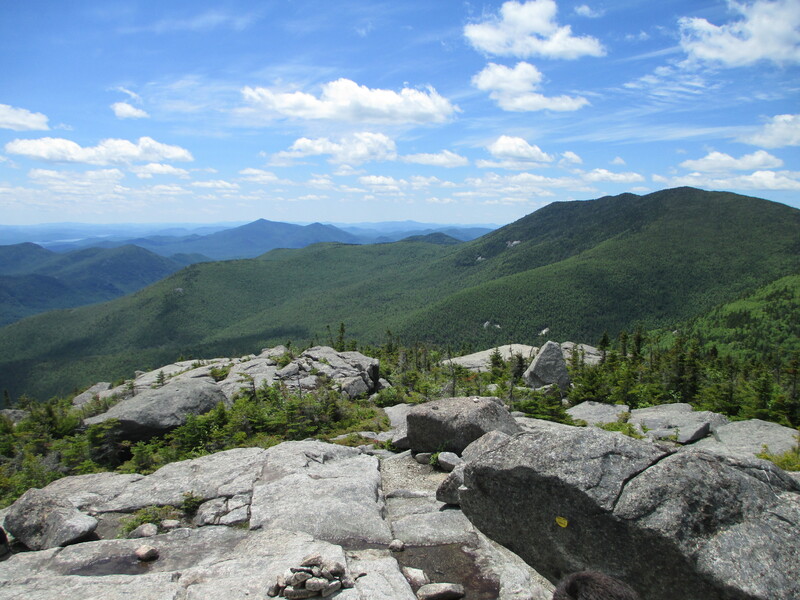 The junction is marked by a rock cairn; we turned right at the cairn and headed toward South Dix, which is in the process of being renamed Carson Peak after Russell Carson, a founding member of the Adirondack Mountain Club. After just a few minutes we were out of the trees and climbing up open rocks. 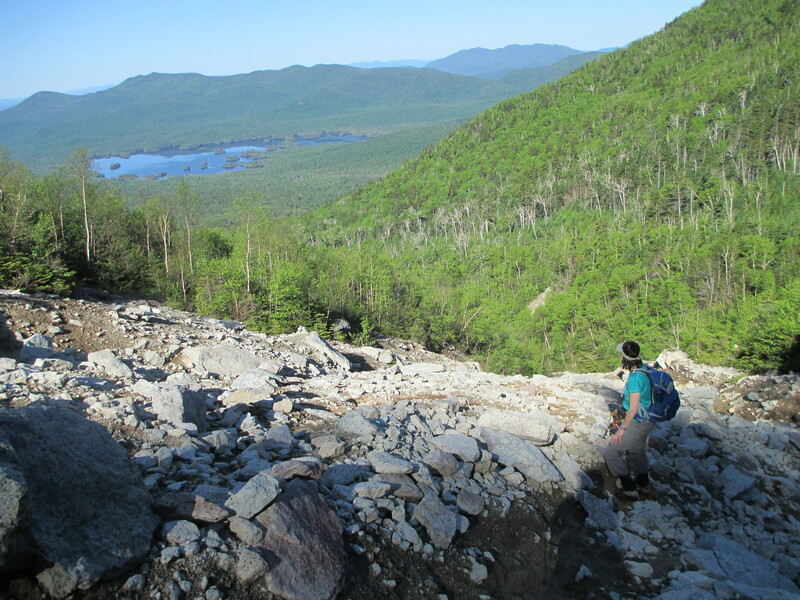 I really liked this portion of the climb – something about it reminded me a little of hiking up Little Haystack and Haystack. The views around us were wide open and provided quite a visual backdrop. 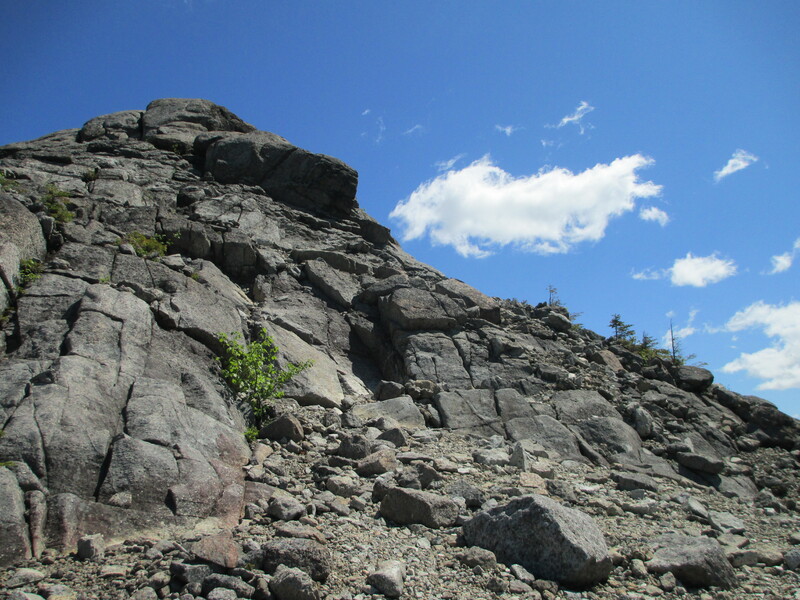 After climbing up the rocks the path veered back into the trees, and we reached the South Dix summit shortly thereafter. From there we headed over to East Dix, also known as Grace. East Dix is in the process of being renamed to honor Grace Hudowalski, the first female 46er (#9) and a founding member of the 46er organization. 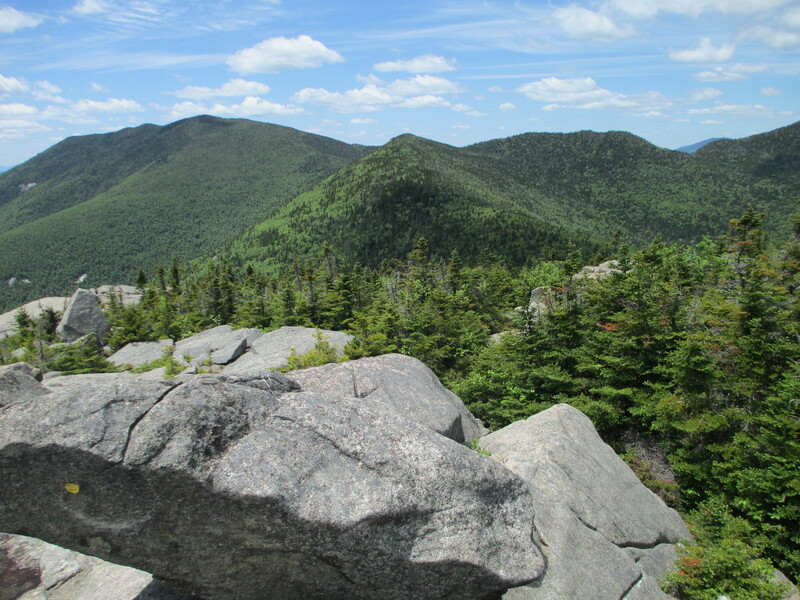 Grace has a really amazing, 360 degree summit – the most beautiful of the three mountains we climbed today. 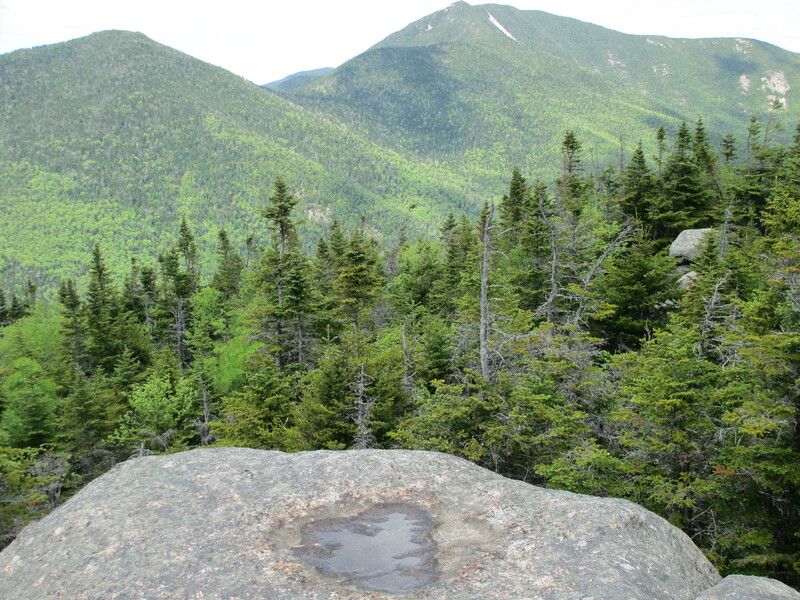 To return to the trailhead we had to reclimb South Dix; in the col between South Dix and Macomb was the rock cairn marking the start of the Lillian Brook herd path. 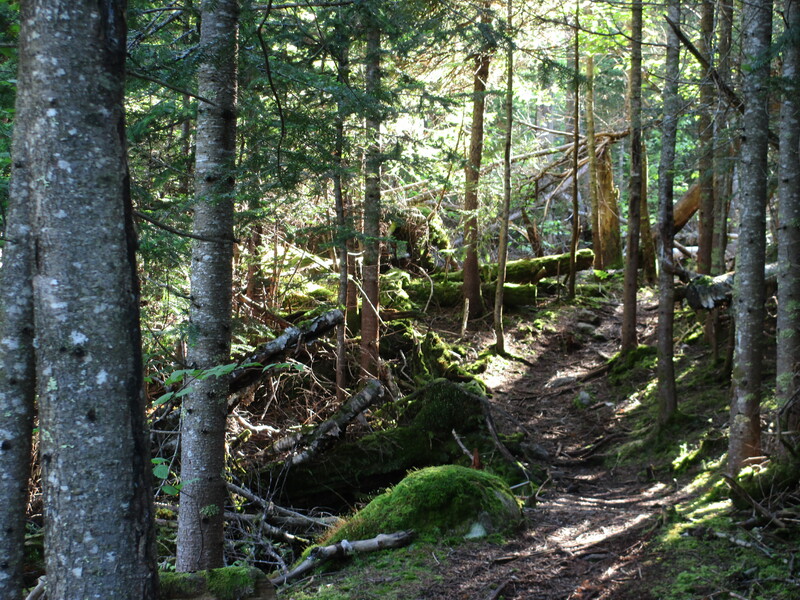 We took this path down the mountain until it connected with the Slide Brook trail, which led back to the parking lot. 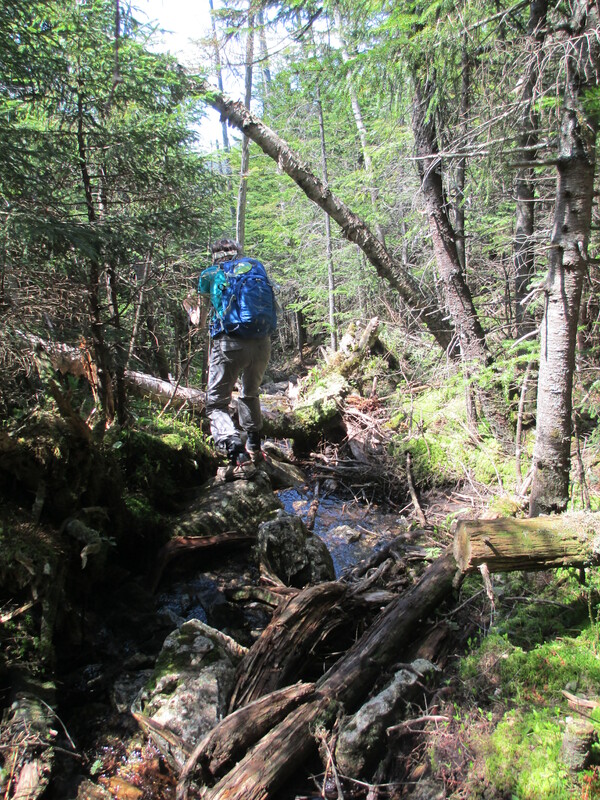 It was wet and muddy, steep in parts near the top, and not my favorite Adirondack trail (neither was the Hunter’s Pass trail, for that matter). We were back at the trailhead at 5:30 p.m.; not bad time, considering the very long summit breaks we took throughout the day. 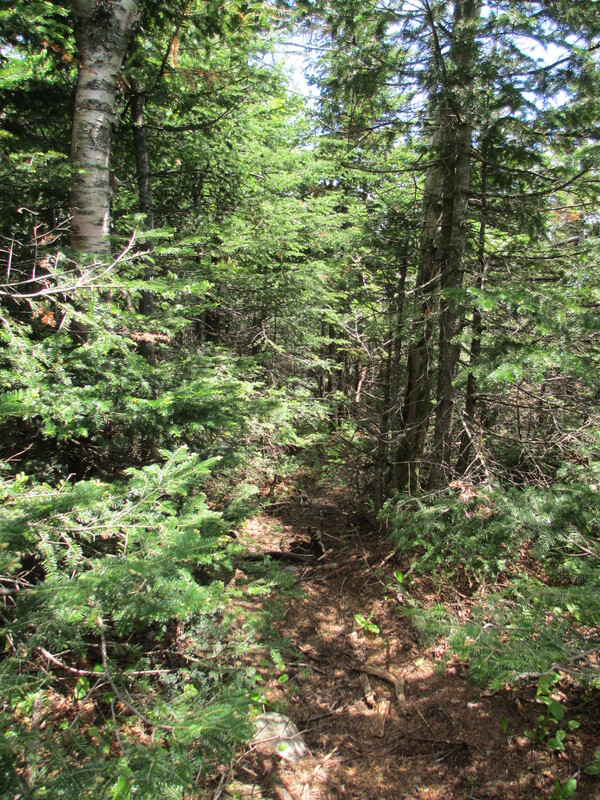 All of the herd paths are very straight forward and easy to follow on this 12 mile, 4 peak loop. 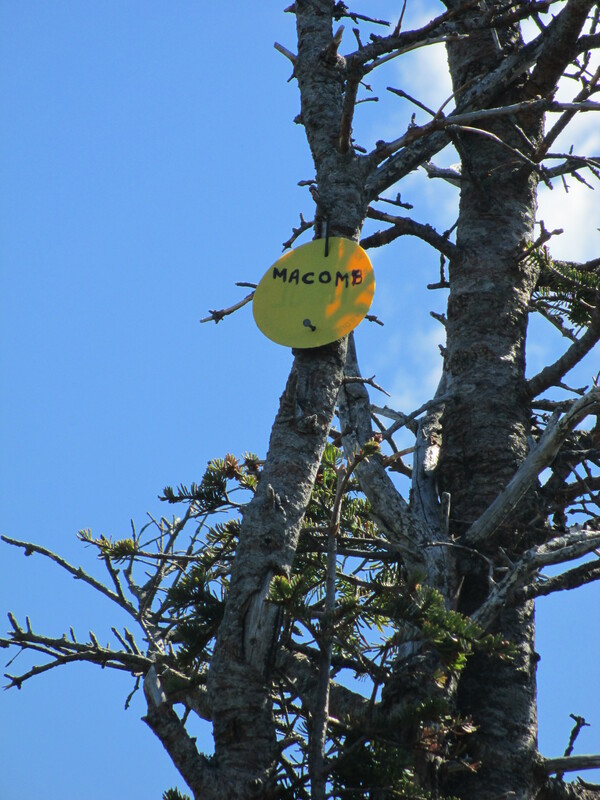 And just a note that the black flies are out in full force right now, if any Adirondack hikers are wondering. Despite being slathered in deet all day, I have approximately 50 bites on my arms. 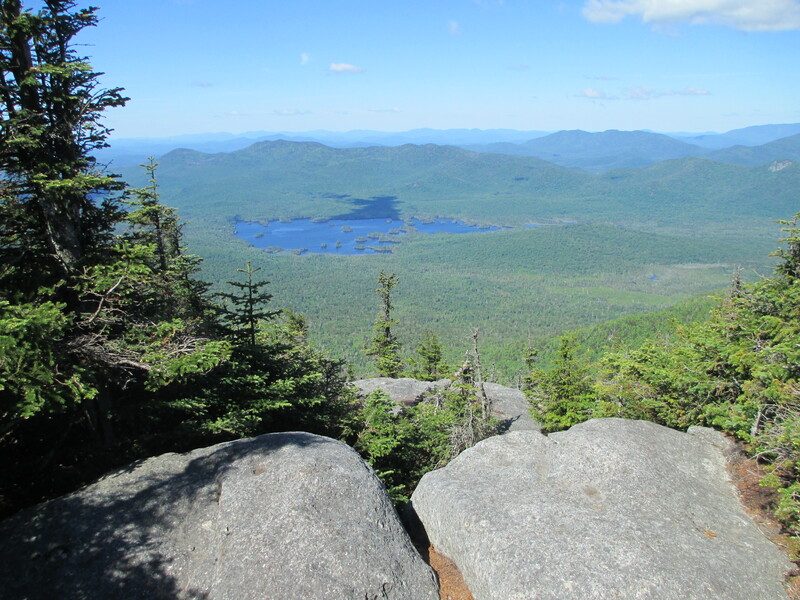 Great, sunny day in the Adirondacks, and looking forward to finishing up the rest of the Dixes later this summer. Beginning of the Hunter’s Pass trail, before it turned into a muddy rock-hop. Start of Macomb herd path. 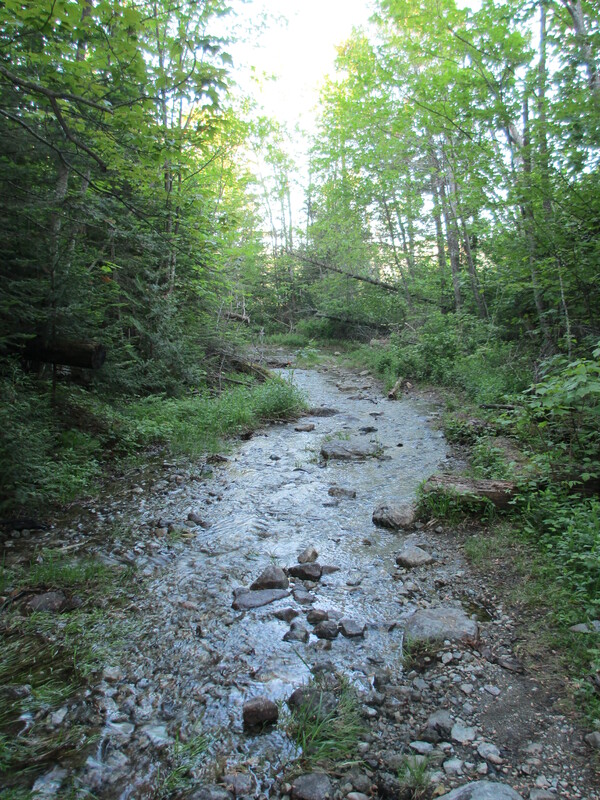 Macomb herd path before reaching the slide. Hiking up the Macomb Slide, admiring Elk Lake in the distance. Still climbing up South Dix. 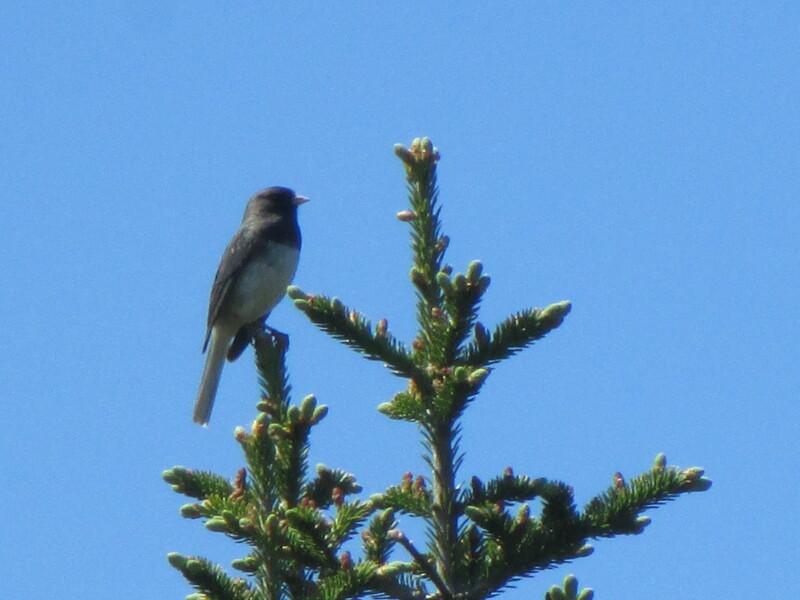 Micro-zoomed in on this junco at the top of a tree. 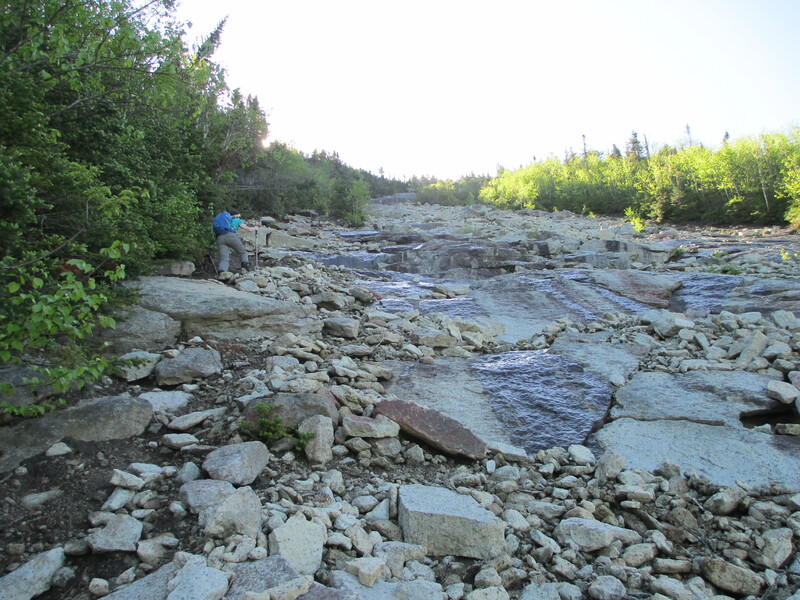 Heading down the Lillian Brook herd path, on route to the trailhead. Looks like a great trail. I can’t get over how rocky part of it is. What wilderness! Wow! This was a great hike, and so pretty. 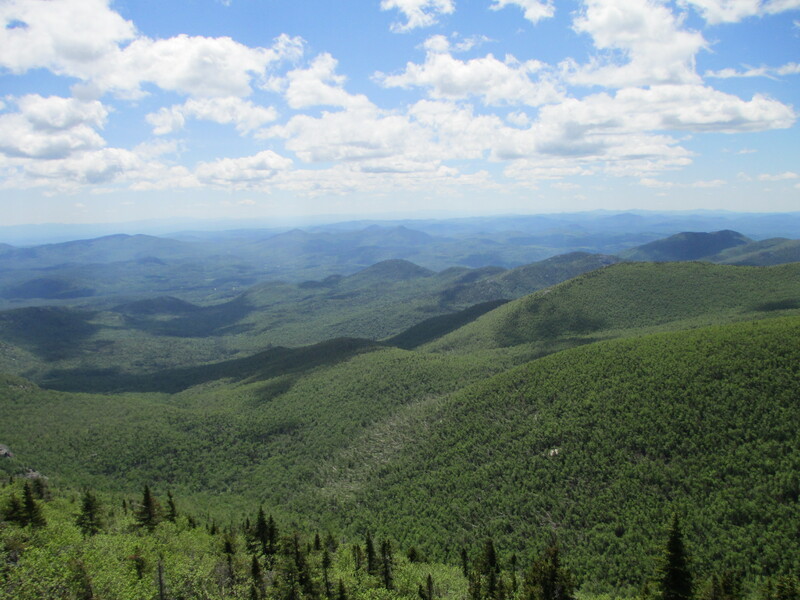 I really liked the ridges, and amazing views. Awesome! Really great day, Margaret – thanks so much for joining me. Enjoy your day of kayaking and see you for another hike soon! 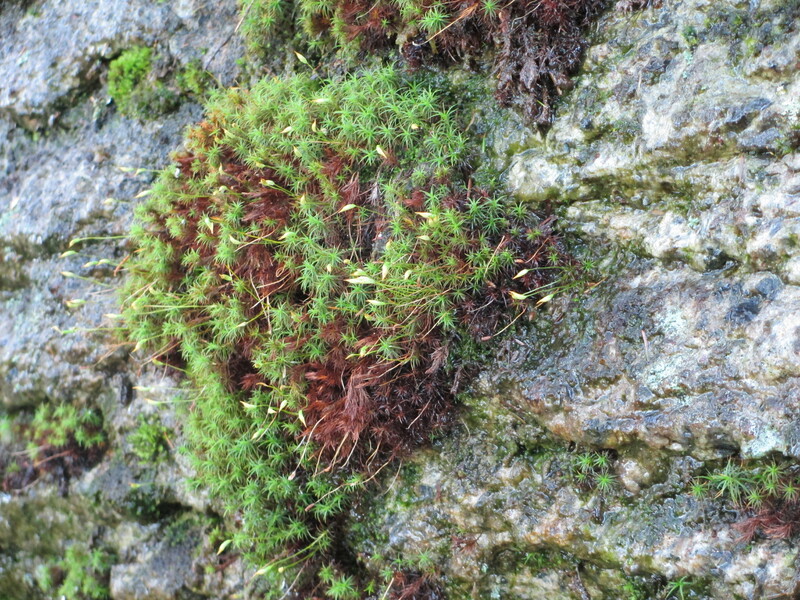 Thank you for ID’ing the bird and moss, John! Very much appreciated. That’s a good question, regarding “herd paths” – and I have no idea! The only thing I can tell you about them is that they are not marked in the maps and there are no trail markers on the paths. 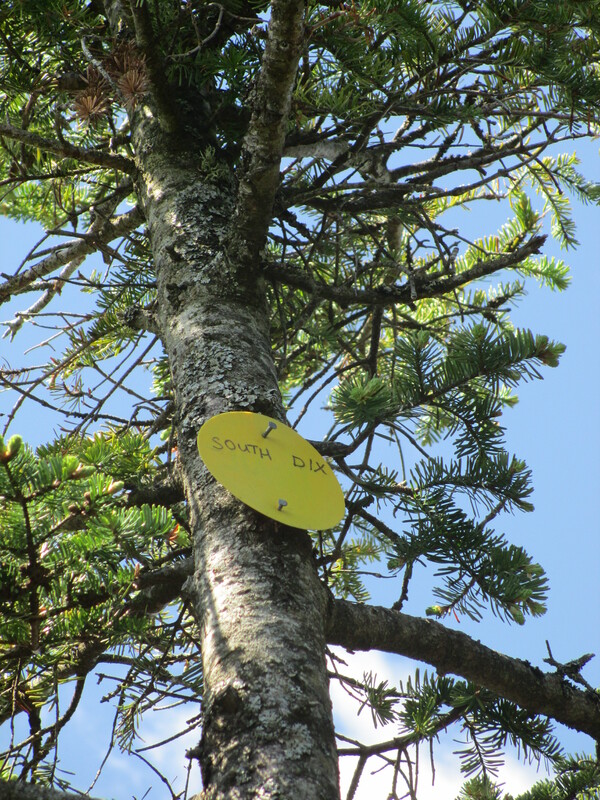 They are technically unmaintained… but we saw lots of indications yesterday that they were being maintained. It looked like someone had been out there very recently with a chainsaw, attempting to clean up some blow-down. Rock cairns (which are not a mystery of nature but a creation of man… so again, another “maintenance” indication) usually mark the start of these paths and pop up regularly to help people to stay on course. Great pictures! I wish you were closer so I could join you for a hike sometime. Would love to visit out west again and go for a hike in the desert. Someday. Beautiful pics, Pru! I love the one of blue Elk Lake taken from Macomb! You did a great job of capturing the slide, too. I was really scared at the top of the slide! I have to try harder to match your ability to capture the whole hike with pics. You do a great job at that. Congrats on getting 3! Thanks, Dave! 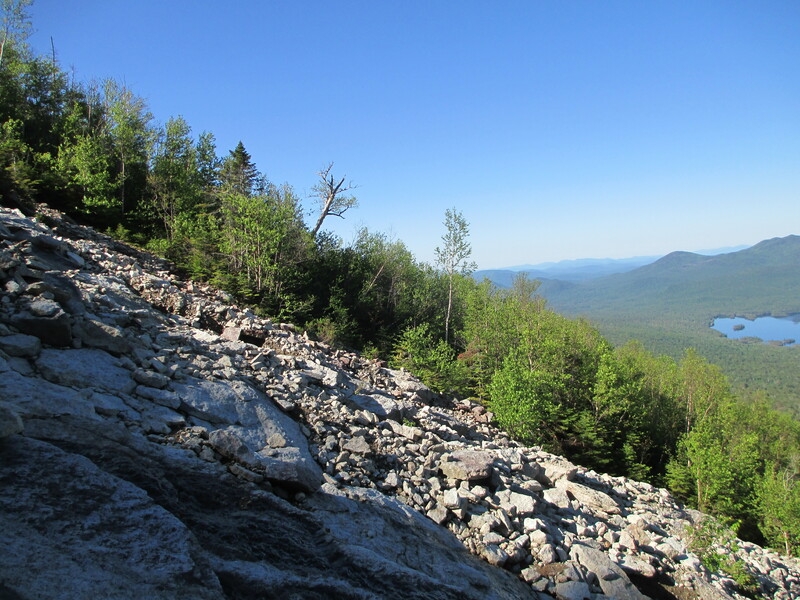 I found the slide challenging but doable – it definitely added a fun and different element to this hike (haven’t done much slide climbing – just the stretch of the Ore Bed before the ladder). Thanks for the photo compliments! This looks like an absolutely spectacular hike! What gorgeous photos! 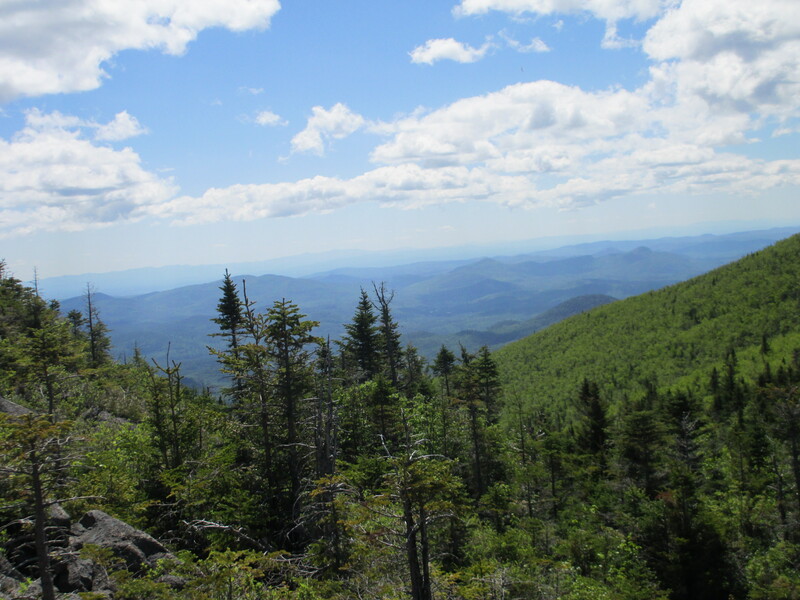 I cannot wait to do this hike, and getting three mountains in, what a great thing for my ego!